Mr. Ruff has been representing general contractors, subcontractors, suppliers and other participants in the construction industry since 1986. As the chair of Ogletree’s construction practice group, that U.S. News and World Report has ranked as a Tier-1 practice group, Mr. Ruff prosecutes and defends claims arising out of public and private construction projects in federal and state court litigation, arbitration and mediation. Mr. Ruff handles claims involving construction and material defects, improper or non-conforming work, extra work, changed conditions, warranty, delay, disruption acceleration and contract interpretation. In addition, he assists contractors in negotiating construction contracts with owners, design builders and architects as well as preparing subcontract programs on a client-by-client or job-by-job basis. Mr. Ruff is familiar with traditional delivery systems as well as design-build, fast track, and collaborative systems. Leading Lawyers Magazine named Mr. Ruff one of the top ten Illinois construction lawyers in 2008-2010. He has been acknowledged by Chambers USA for the past eight years and by Super Lawyers and Best Lawyers publications. 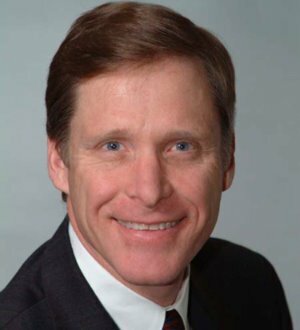 Mr. Ruff serves on the Steering Committee of the Society of Illinois Construction Attorneys and is the past chair of the Chicago Bar Association Mechanics Lien and Construction Subcommittee. Mr. Ruff writes and lectures frequently on a variety of construction topics.